The Royal Navy was a major vehicle of social mobility. Boys joined as Midshipmen, some volunteered as sailors, and many were press ganged. Once serving the RN, they were treated largely on merit. It was not unusual for a sailor to rise through the ranks, be commissioned and then rise to command a vessel. RN, Georgian sailor, revolution, aristocracy, Napoleonic Wars. DESCRIPTION: The Royal Navy was a major vehicle of social mobility. Boys joined as Midshipmen, some volunteered as sailors, and many were press ganged. Once serving the RN, they were treated largely on merit. It was not unusual for a sailor to rise through the ranks, be commissioned and then rise to command a vessel. The Royal Navy was the world of opportunity for so many, providing the potential for great riches in prize money for a successful commander and crew. The story of Anthony Lockwood is both inspiring and ultimately sad. His tale has inspired writers of fiction and the very readable series of Kydd novels by Julian Stockwin include many similarities to the real life adventures of Lockwood. 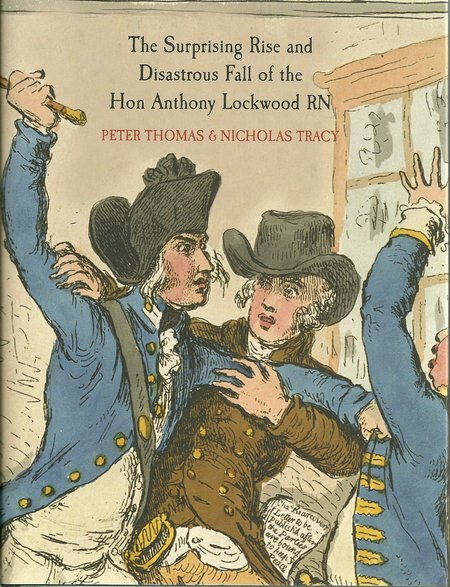 Lockwood’s career almost exactly spans the French Revolutionary and Napoleonic Wars. In addition to his rise through the Navy, he spent time as master attendant of the naval yard at Bridgetown Barbados and conducted a survey as an hydrographer in the English Channel and in the West Indies, before beginning a three year survey of Nova Scotia and the Bay of Fundy. During his rise he was present at the Spithead Mutiny, was shipwrecked, imprisoned in France, commended for bravery in action, and finally was appointed Surveyor General of New Brunswick. He retained and developed a democratic determination and an expectation of social justice that was at odds with the aristocratic and authoritarian traditions of the Navy and the Colonies that had been sharpened in reaction to the French revolution. After attempting a one man coup he was jailed and shipped back to England where he was to end his days as a pensioner and mental patient. This is book that is difficult to put down until the final page. It is difficult at times to remember that this is a true story and not the imagination of an accomplished writer of fiction.